You can visit our website without divulging any personally identifiable information including your email address. Our website does not collect personally identifiable information about individuals except when such individuals specifically provide such information on a voluntary basis, such as when registering at our website, registering for events or requesting information. Events of Sophistication uses such information collected primarily to provide better customer service to you, improve and customize the content you see, survey data collection, provide products, services. We may periodically send emails about information and promotions which we think you may find useful using the email address you have provide. Our web servers collect the IP addresses and domain names of visitors to our site. This information may be aggregated to measure the number of visits, average time spent on the site, pages viewed, etc. Events of Sophistication may use this information to measure the use of our site and to improve the content we offer. We may share with third parties this experiential information or other data which does not personally identify visitors to our site. Our website uses “cookies” to help personalize your online experience, such as recognizing your name when you revisit, as well as to assist us in marketing and advertising. A cookie is a text file that is anonymously placed on your hard disk by a web page server. Cookies cannot be used to run programs or deliver viruses to your computer. Cookies placed when you visit our site do not personally identify you, but they do allow us to monitor certain statistics which help us improve our services, such as how many site visitors view certain pages on our website or receive our advertisements when visiting other websites. You are not required to register in order to access our site. If you send us an email or register on our site we may collect information about you. We receive and store information provided to us via the website or other methods. We may also request information about your wedding plans and preferences. Any information you provide is purely voluntary. When you register we collect information which may include your name, address, gender, birth date, email address, telephone number, and preferences. You may also choose how you would like to receive information from us, by mail, email or telephone. If you send us an email or request information we will retain your email address and use it to respond to your inquiry. We may also use your email address to provide you with details on upcoming events, packages and other information about Events of Sophistication or to provide you with information from companies with whom we have cooperative or joint marketing arrangements. You may subscribe to our email promotions by registering on our website. By registering, you are securing your subscription to receive email promotions. You may unsubscribe or change your email address for email promotions at any time by following the instructions mentioned prominently within each email promotion. Because of the nature of our business, our products and services are not designed to appeal to minors, and therefore we do not knowingly attempt to solicit or receive any information from children under the age of 18. If we have reason to believe that information is being provided by a person under the age of 18 we will not collect the information. You are responsible for the accuracy and completeness of all information you provide to us. You may also direct us to change or delete your information by email or telephone at the address provided below. You can direct us to delete your email address from our mailing list simply by following the instructions on any email you receive. We will act on your instructions promptly, but making changes or deleting information may take two weeks or more to become effective. Events of Sophistication may disclose your personal information to our affiliates or other third parties for their use in the marketing of their products or services (as opposed to Events of Sophistication products or services) to you unless you tell us not to. In order to opt out of such sharing or for further information, please email us using the Contact Us form. Security of personal information is extremely important to us. 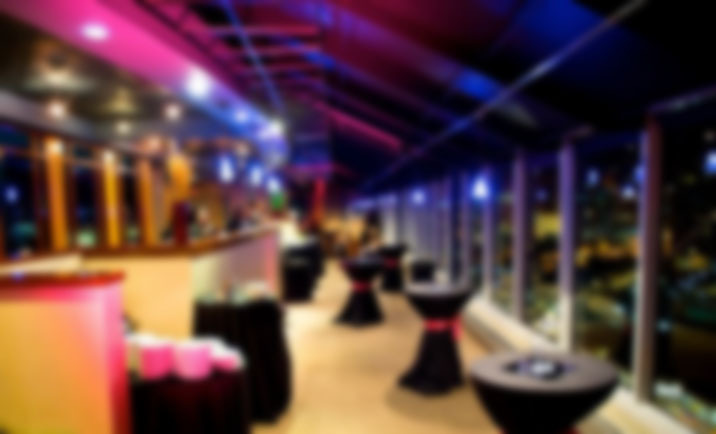 Events of Sophistication employs security measures consistent with standard industry practice to prevent unauthorized access to your personal information collected on and used by Events of Sophistication at this site. Our site uses SSL (Secure Sockets Layer) security technology to encrypt information you provide to us through the Site, but any information you provide us by email is unencrypted. SSL is an industry-standard protocol for encryption over the internet. Data transmission over the internet is never 100% secure. While we take steps to protect your personal information and keep it secure, you also play a role in protecting your information. You can help to maintain the security of your online transactions by not sharing your personal information with anyone. Events of Sophistication cannot guaranty the security of any information you transmit to us or from our site, and therefore you use our site at your own risk. No poor, sexually explicit or threatening language. Any comments which contain such information will be removed from the site and the offender will be prohibited from posting further reviews and/or comments. Reviews/comments must be based solely on the consumers’ experience. Second-hand information or hearsay (rumors or quotations from other sources or the reported opinions/experience of others) is prohibited. Reviews must be written by consumers only. Content needs to be relevant and useful and must not relate to political, ethical or religious opinions, discussion, commentary or related issues. The e-mail address associated with your account must be correct. Events of Sophistication reserves the right to remove a review or comment at any time for any reason. The reviews posted on Events of Sophistication’s website and/or blog are individual and highly subjective opinions. The opinions expressed in reviews are those of consumers and not of Events of Sophistication. We do not endorse any of the opinions expressed by reviewers. We are not affiliated with any business listed or reviewed on this web site.